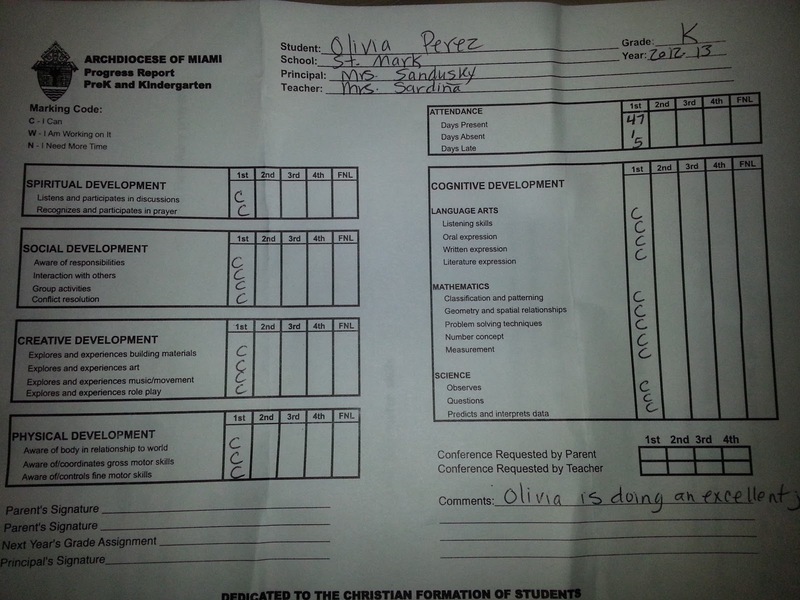 On Friday we got Olivia's first report card ever! OMG! When did my girl grow so much? She's such a joy a such a smart little person! 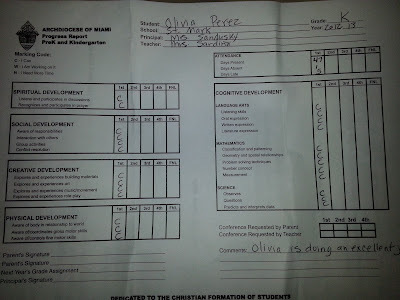 Olivia got C in all categories and I couldn't be happier or prouder! She was so happy to share the good news with us even though I don't think she gets the whole concept of what a report card means.. I like that there aren't numbers on this since the kids at this age can't really assign points to their accomplishments and it doesn't put that much pressure on them! Congrats, Olivia! We are so proud of you!